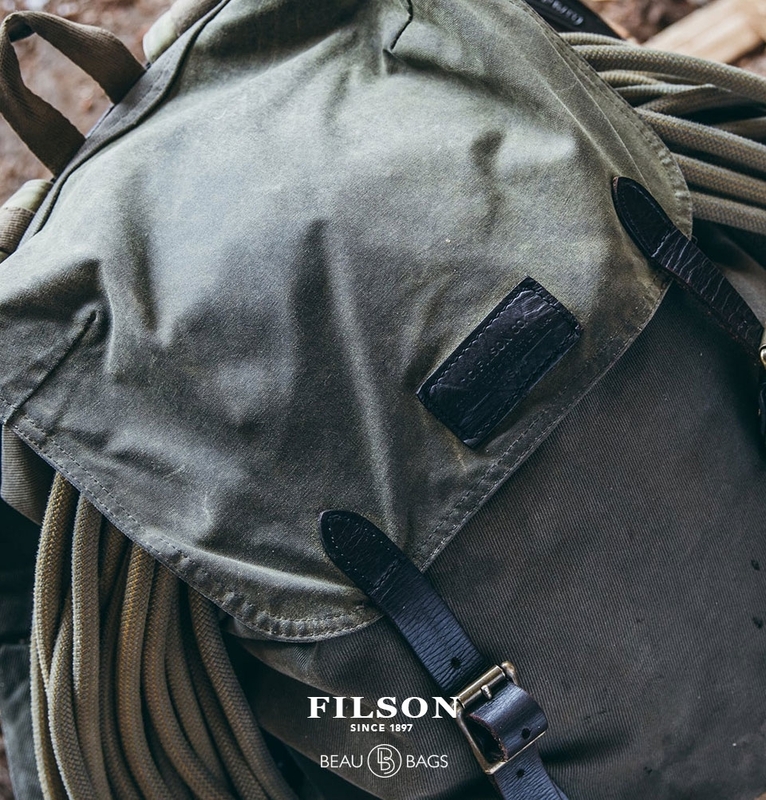 The Filson Ranger Backpack is a rugged, vintage inspired, backpack for everyday life that won't shy away from a walk in the woods. 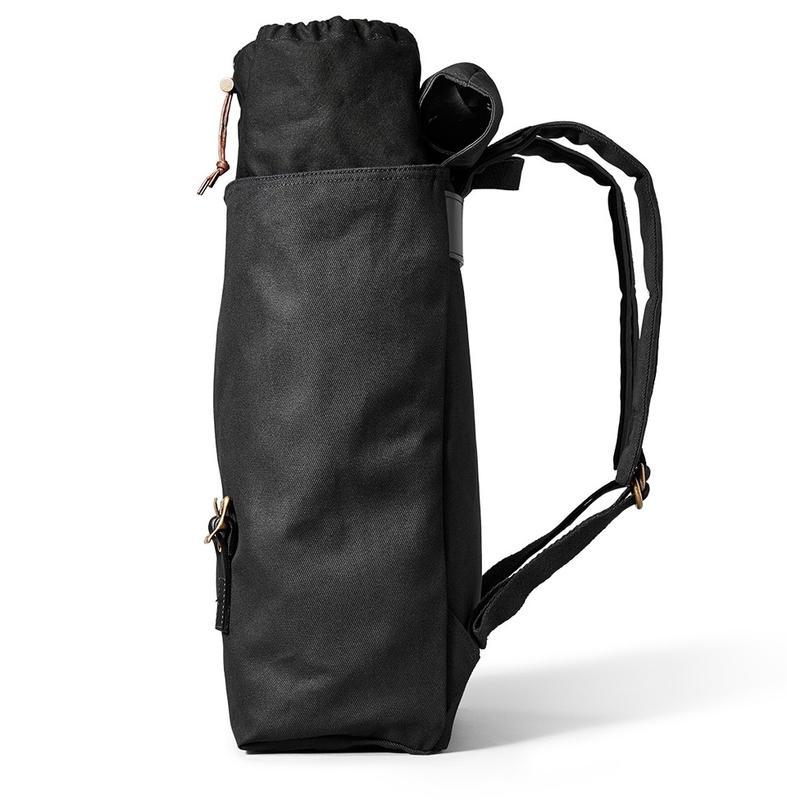 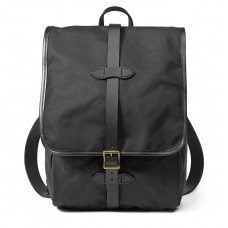 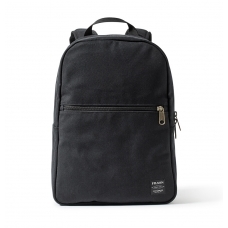 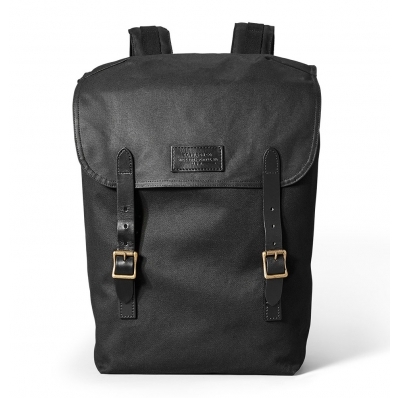 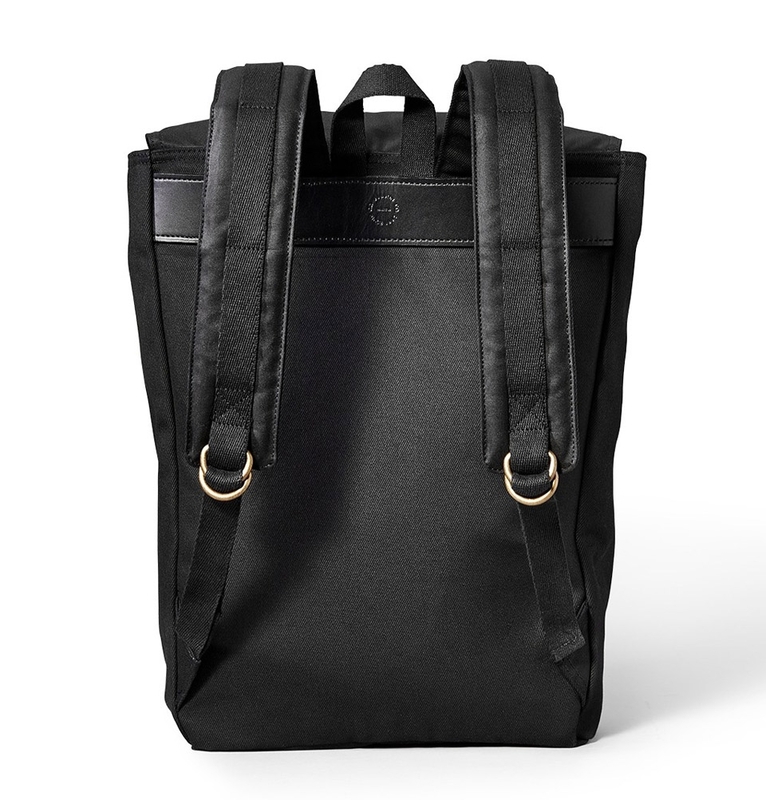 FILSON RANGER BACKPACK BLACK 11070381, a vintage-inspired bag that's perfect for the field or your daily commute. 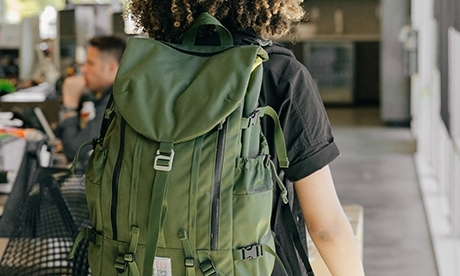 Inspired by a vintage forestry pack, this Filson Rugged Twill Ranger Backpack features a cotton-lined interior, removable wool zipper pouch and interior divider for organization of stowed gear. 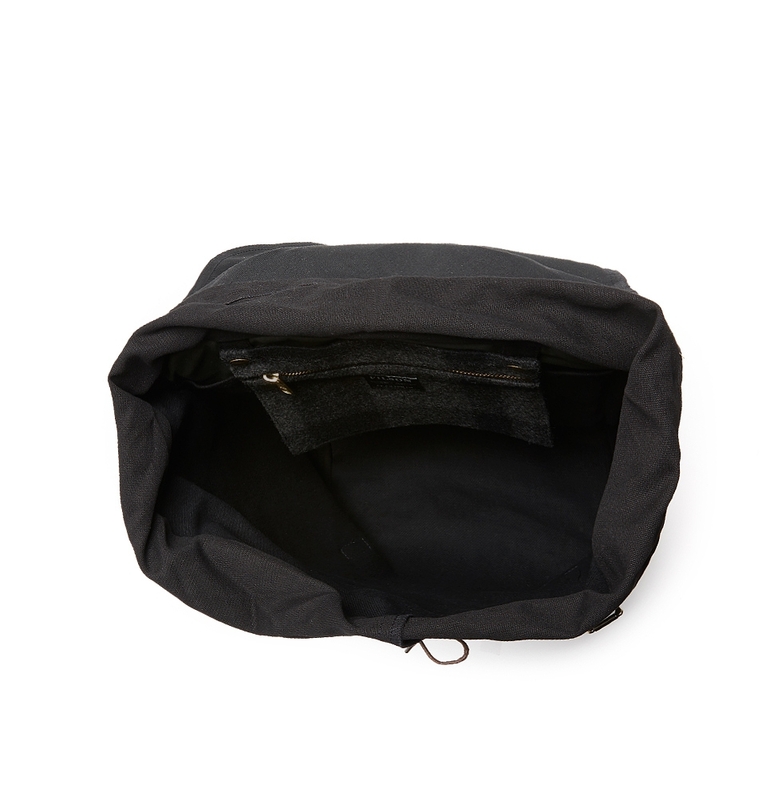 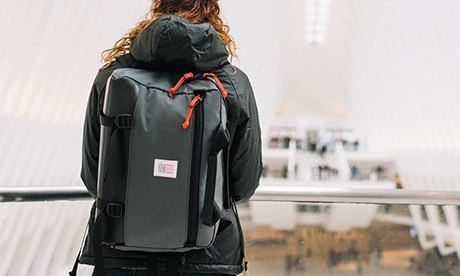 A top expansion panel with drawcord closure allows varying levels of fullness when packed, while a storm flap with Bridle Leather buckle closure will keep your gear protected from rain and dirt. 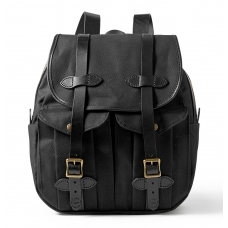 The padded shoulder straps have webbing daisy chains, and a padded back offers comfort even when carrying it all day long. 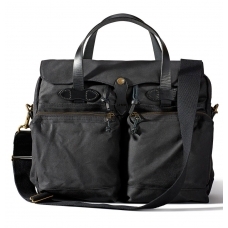 Filson makes bags and clothes since 1897. 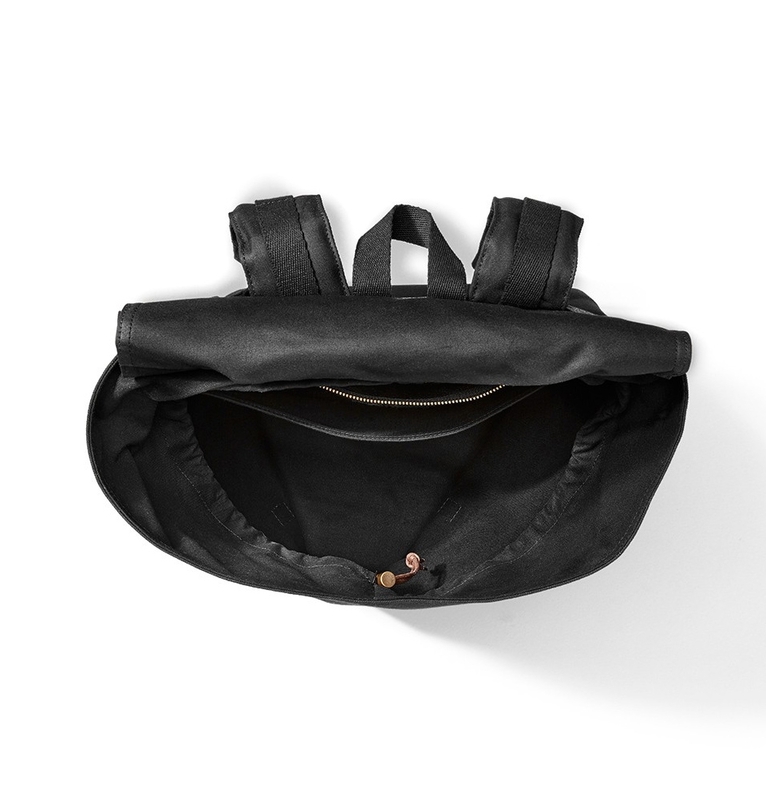 They know exactly what they do at Filson. 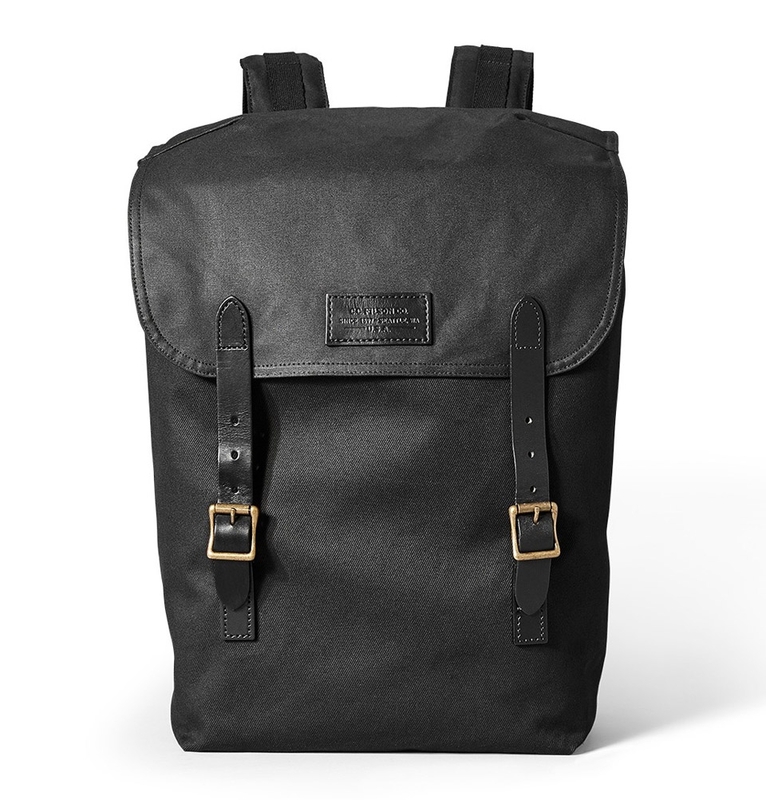 Filson transformes indestructible canvas and Bridle leather to a firm and solid backpack, perfect to protect all your gear in any weather.